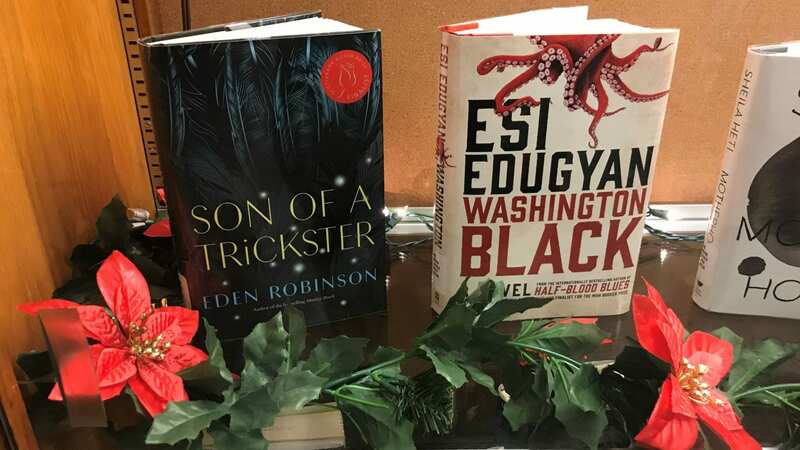 It’s always nice to relax at this time of the year, and there’s no better way to relax than to dive into a good book. During the upcoming holidays, why not take some time for yourself and read one of the many award winning books that are available in the Red River College Library. To view a selection of award winning books, come visit the Library Window Display at the Notre Dame Campus. You may also view a complete list of all books in our display. If you see something you like, just ask at our Circualtion desk. 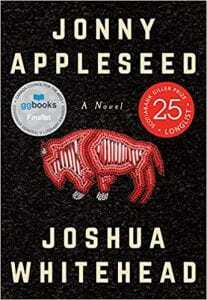 Off the reserve and trying to find ways to live and love in the big city, Jonny Appleseed, a young Two-Spirit/Indigiqueer, becomes a cybersex worker who fetishizes himself in order to make a living. Jonny’s world is a series of breakages, appendages, and linkages – and as he goes through the motions of preparing to return home for his step-father’s funeral, he learns how to put together the pieces of his life. 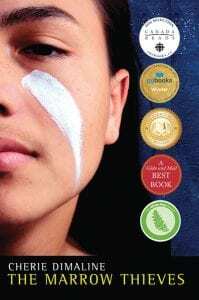 Jonny Appleseed is a unique, shattering vision of Indigenous life, full of grit, glitter, and dreams. Fay Morgan and Nelson Nilsson have each arrived in Inuvik, Canada — 120 miles north of the Arctic Circle — searching for answers about a family member: Nelson for his estranged older brother, Fay for her disappeared grandfather. They soon learn that these two men have an unexpected link — a hidden share in one of the greatest enduring mysteries of polar exploration. This is the riddle of the ‘Arnold 294’ chronometer, which reappeared in Britain over a hundred years after it was recorded as lost in the Arctic with the ships and men of Sir John Franklin’s Northwest Passage expedition. The secret history of this elusive timepiece, Fay and Nelson will discover, ties them and their families to a journey that echoes across two centuries. Everyone knows a guy like Jared: the burnout kid in high school who sells weed cookies and has a scary mom who’s often wasted and wielding some kind of weapon. Jared does smoke and drink too much, and he does make the best cookies in town, and his mom is a mess, but he’s also a kid who has an immense capacity for compassion and an impulse to watch over people more than twice his age, and he can’t rely on anyone for consistent love and support, except for his flatulent pit bull, Baby Killer (he calls her Baby)–and now she’s dead. Jared can’t count on his mom to stay sober and stick around to take care of him. He can’t rely on his dad to pay the bills and support his new wife and step-daughter. Jared is only sixteen but feels like he is the one who must stabilize his family’s life, even look out for his elderly neighbours. But he struggles to keep everything afloat … and sometimes he blacks out. 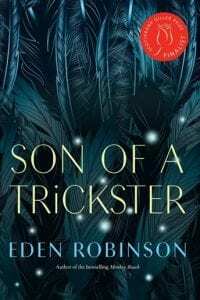 And he puzzles over why his maternal grandmother has never liked him, why she says he’s the son of a trickster, that he isn’t human. Mind you, ravens speak to him–even when he’s not stoned. You think you know Jared, but you don’t. I have been sleuthing my mother’s symptoms for as long as I can remember. If I see myself as an unwilling detective with a desire for justice, is her illness an unsolved crime? If so, who is the villain and who is the victim? Sofia, a young anthropologist, has spent much of her life trying to solve the mystery of her mother’s unexplainable illness. She is frustrated with Rose and her constant complaints, but utterly relieved to be called to abandon her own disappointing fledgling adult life. She and her mother travel to the searing, arid coast of southern Spain to see a famous consultant– their very last chance– in the hope that he might cure her unpredictable limb paralysis. But Dr. Gomez has strange methods that seem to have little to do with physical medicine, and as the treatment progresses, Sofia’s mother’s illness becomes increasingly baffling. Sophia’s role as detective– tracking her mother’s symptoms in an attempt to find the secret motivation for her pain– deepens as she discovers her own desires in this transient desert community. 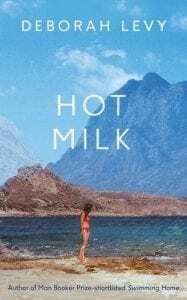 Hot Milk is a profound exploration of the sting of sexuality, of unspoken female rage, of myth and modernity, the lure of hypochondria and big pharma, and, above all, the value of experimenting with life; of being curious, bewildered, and vitally alive to the world. Nine men. 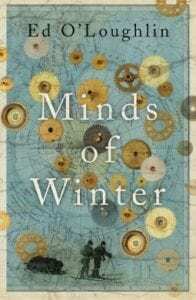 Each of them at a different stage in life, each of them away from home, and each of them striving–in the suburbs of Prague, in an overdeveloped Alpine village, beside a Belgian motorway, in a dingy Cyprus hotel–to understand what it means to be alive, here and now. Tracing a dramatic arc from the spring of youth to the winter of old age, the ostensibly separate narratives of All That Man Is aggregate into a picture of a single shared existence, a picture that interrogates the state of modern manhood while bringing to life, unforgettably, the physical and emotional terrain of an increasingly globalized Europe. 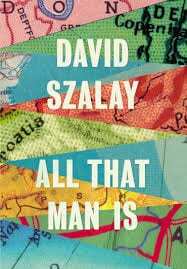 And so these nine lives form an ingenious and new kind of novel, in which David Szalay expertly plots a dark predicament for the twenty-first-century man.